Meteors are fantastic objects to image, however there is an element of luck involved when trying to capture them. You will need a camera which is capable of taking long exposures, a tripod or telescope with tracking on its mount. Mount the camera on the tripod or telescope and choose a part of the sky, some good images include the Milky Way as a background. Use a bit of trial and error and set your exposure time and a fast ISO and just leave the camera to do its stuff. Hopefully a meteor will be captured and the best way to know is look with your own eyes whilst the camera is taking the image and then check the image after to make sure. Repeat this throughout the evening and you will have a set of images you can use individually or will be able to stack if you were using a tracking mount, this will show multiple meteors in the final image. 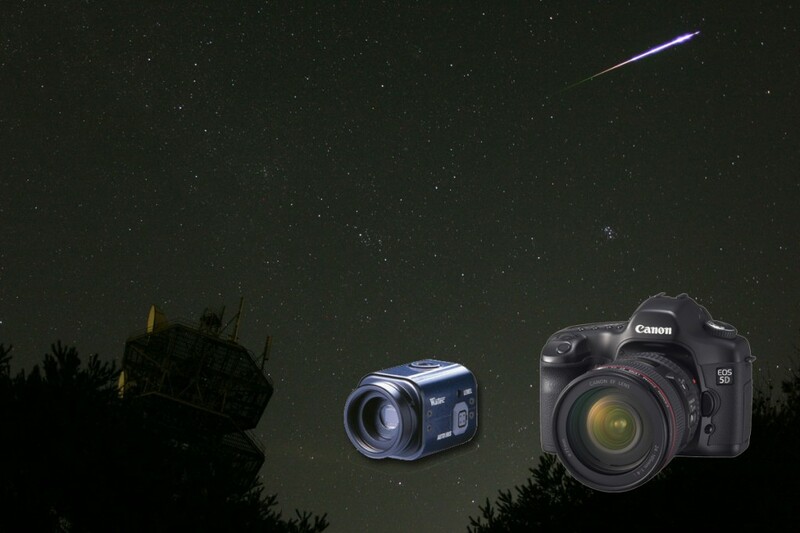 Another way of capturing meteors is to use a light-sensitive video camera, such as a Minitron, Watec or a video camera which is able to film in the dark. Often a wide angled lens is used to capture as much of the sky as possible. Mount your video camera on a tripod, experiment a bit and let the camera do its thing. You will need to edit the video after the footage has been taken to see the best meteor images. Check out the Meteorwatch Gallery or Flickr gallery and see what images people have been taking.